Nintendo has reported its financial results for its 1988 fiscal year, which runs from September of 1987 through August of 1988. 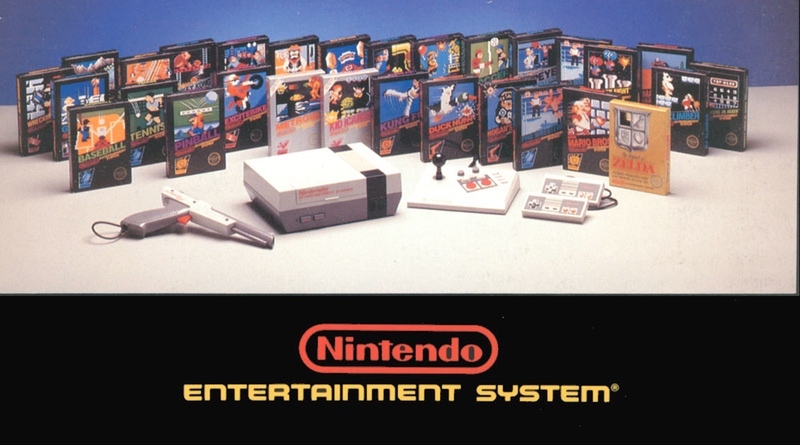 Its Nintendo Entertainment System (NES) has seen a dramatic uptick in systems sold for the year, more than doubling its prior year’s shipment. For the last twelve months Nintendo of America has shipped 5,360,000 NES to retailers across North America. The year prior they had shipped 1,810,000 and the one prior to that only 210,000. To say they’re in a good position would be an understatement! Financially the Japanese company is doing very well with over $1.5 billion in sales ($1.07 billion the year prior). Net income was an impressive $223 million, compared to $186 million the prior year. The booming U.S. video game market is the main catalyst for the financial boost. Remember that each console sold will have a cascading effect and lead to more games and peripherals sold as well. Each additional item sold adds to Nintendo’s bank account. Above: The NES is now available in three different configurations, ranging from $80 – $150. According to the TRST (Toy Retailers Sales Tracking), Nintendo has gained market share and now owns about 83% of all video games sold. That’s up from 70% the prior year. Nintendo remarked that they are seeing a wider range of customers buying and playing the NES. In fact, 15% of all NES players are 25 to 44 years old and girls and women make up 20% of the userbase now. That’s a good thing for Nintendo if it hopes to continue to grow at a rapid pace. Shortages of computer chips continue to plague the company, with many of its hottest games flying off store shelves faster than Nintendo can keep up. Super Mario Bros. 2 and the upcoming Zelda II: The Adventure of Link are wanted by millions of NES owners. Other popular games like Double Dragon and Gauntlet are often nowhere to be found. It’s safe to say that if you see a specific game on store shelves that you’re thinking of getting as a Christmas present, you’d better nab it now. We expect there to be bare shelves come November and December! Above: Super Mario Bros. 2 and Zelda II: The Adventure of Link will be in short supply this holiday. With no signs of letting up, how big can the video game market grow? Nintendo seems to think there’s no end in sight and suggests that next year will be even bigger than this one, both in terms of system sales and software sales. As long as the game makers can continue to churn out quality software, we’re inclined to agree.